AR-15 Forearm Disassembly Tool. PRICED RIGHT! A necessity for any AR-style rifle shooter or armorer. 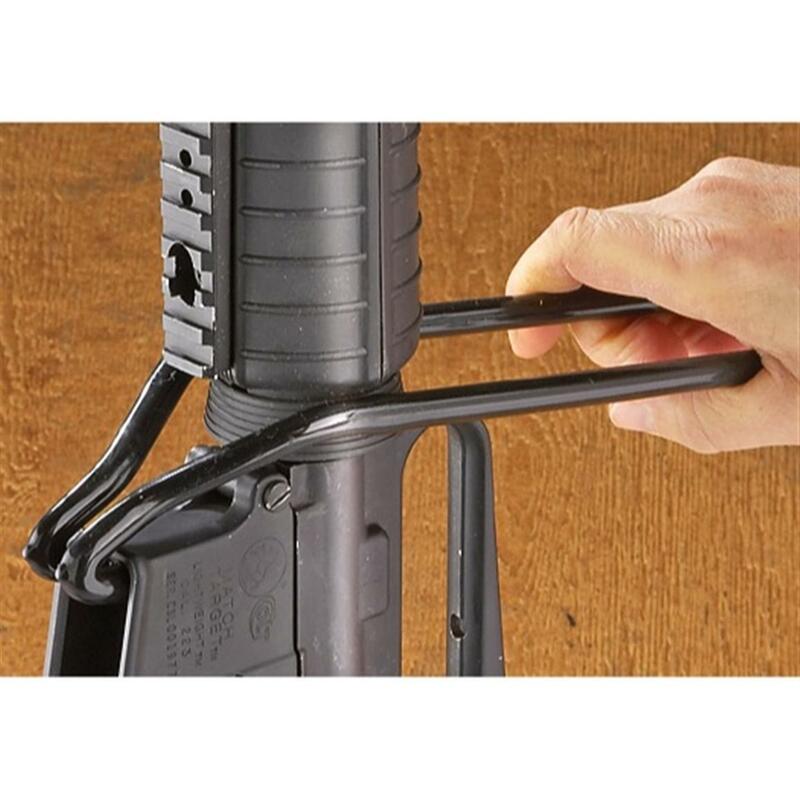 Provides easy removal of the handguards on both carbines and full-sized rifles. Durable steel construction. Rubberized to prevent scratches and protect the finish of your rifle. Measures 9"l. Weighs 3 ozs. 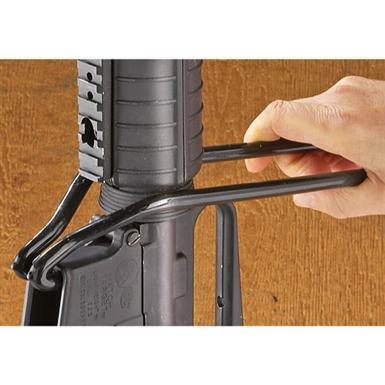 AR-15 Forearm Disassembly Tool is rated 3.9 out of 5 by 43. Rated 3 out of 5 by Doug from Good price It works ok but the rubber coating came off the first time I used it. But they did say it would come of and use electric tape but I didn't believe it would come off the first time. Rated 4 out of 5 by 3539del from Do you want to get the job done vs. stay pretty I bent the tool or I should say I reshape the tool to better do the job and I stacked electrical tape around the areas where there would be contact with the fire arm. Once I did that it worked great. Before that it didn't work all that well and would bend easily when you didn't want it to. Rated 1 out of 5 by Gunguy63 from Don't buy Hook end too short. Kept slipping out of mag well. Tried to rebend tool and gave up. Rubber coating tore first try and scratched ring. Rated 1 out of 5 by PDX 53 from Don't bother - junk. Yes it's inexpensive but the side "arms" are too wide to grip the ring. I added some short sections of rubber fuel line to take up the space but the diameter of the wire frame make it too flexible. It'll work but if I used one a lot I'd get something different. Not even worth returning. Rated 5 out of 5 by JOHN from A little disapointed by the rubber coating peeling off so fast. Would not recomend to buy. Protect your receiver from damage. Precisely aligns holes perfectly every time. Holds your upper securely, mar-free.